The number one question in Entertainment is 'how do I get my big break?' or better yet 'How do I make it?'. Ironically enough it isn't a one time deal. To truly make it in the industry it takes consistency, longevity and most notably a brand. That's why it was so impressive to attend the Industry Connect 101 : Breaking Into The Music presented by Los Angeles Film School. 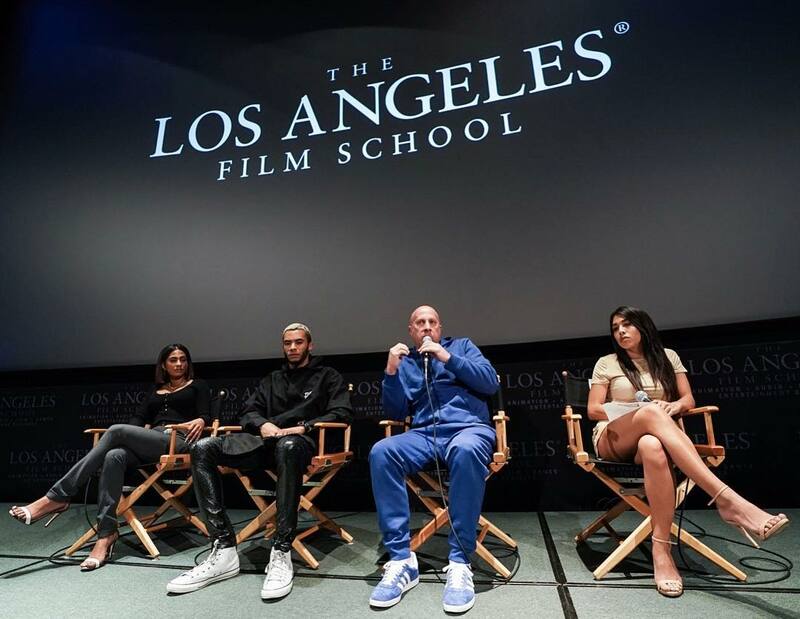 Featuring music industry legend Steve Lobel, Media Personality Jen De Leon, A&R Epic Records Executive Zoe Young, and Casting Producer of The Four Joshua Heart. This variety of music minds in the building brought a healthy perspective of what it means to be successful in music. Steve Lobel adhered to the mindset of emotionally connecting with your fan base through your art and love for the craft with that type of will he believes you'll always win through. Zoe Young gave us insight on what execs are looking for and a look on the cutting edge of the music biz. Joshua came from the side of one of the hottest shows on TV, The Four - what they look for might be a 180 degrees from what you are giving but that's not the point, is it? It's what type of career can you carve for yourself and how authentic you can be with it. That's what makes a brand, that what keeps you stay in the now, and that's how you break into the music industry.